WE WILL BE RUNNING A FLEX SCHEDULE ON SANDLAPPER 5 AND SANDLAPPER COED SATURDAYS. WE WILL CONTINUE TO ACCEPT TEAMS UP TO WEEK 5. THE GAMES ARE FAST PACED AND TEAMS CAN PLAY MORE THAN 2 GAMES A DAY. GET YOUR TEAMS SIGNED UP. WE ALSO ARE NEEDING FREE AGENTS TO FIELD A COED TEAM. CONTACT TONY FOR DETAILS 864-593-0065. Congratulations to Inferno on winning the Winter 2018 Division II championship. 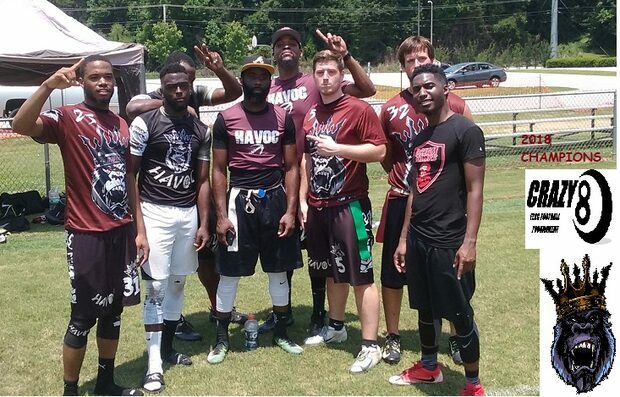 Congratulations to Havoc on winning the 2018 Crazy 8 Tournament. 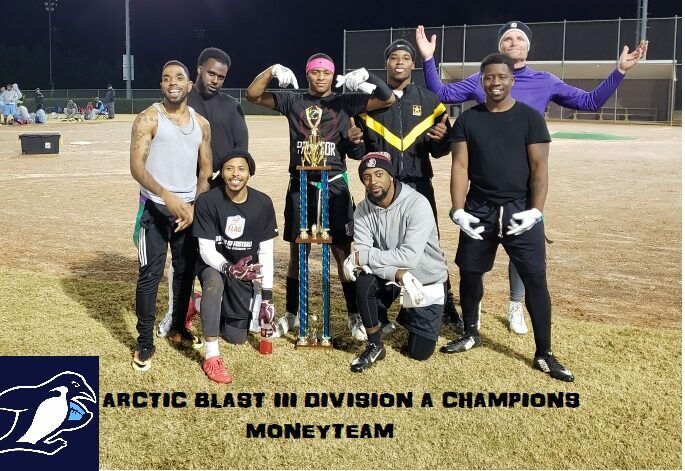 Congratulations to Moneyteam on winning the Arctic Blast III Division A championship. 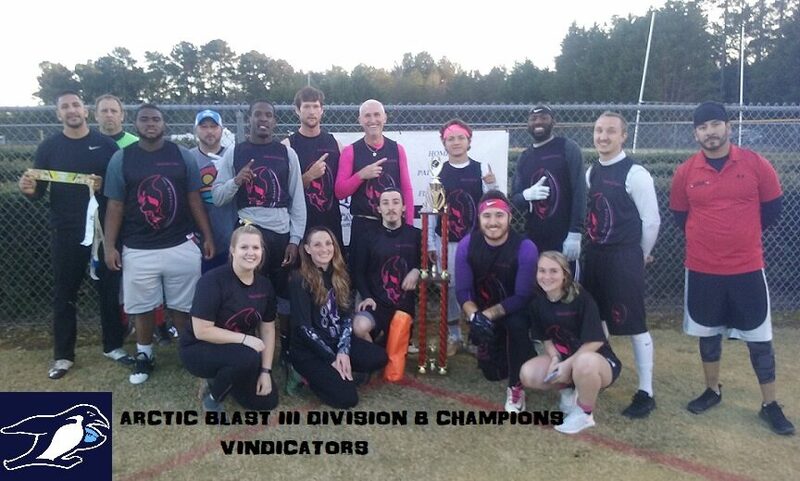 Congratulations to Vindicators on winning the Arctic Blast III Division B championship. Anyone interested in playing in the league but in need of a team can enter our free agent list. Just e-mail your name psffl79@charter.net or contact me (864)593-0065. Link TONY ( 864)593-0065 or psffl79@charter.net.